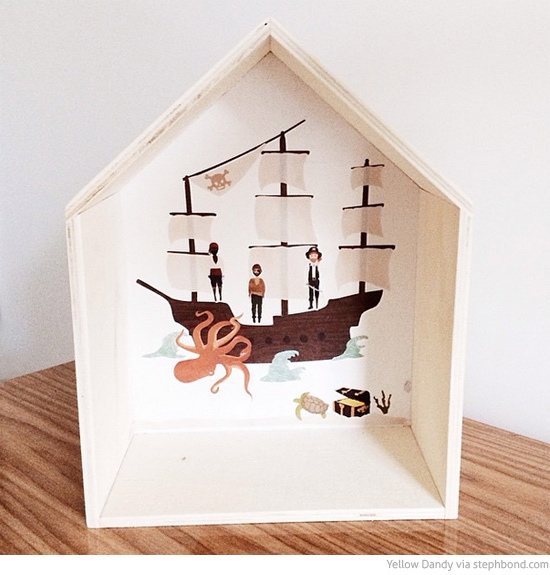 Karen from Yellow Dandy is a pretty fabulous blogger who I follow on Instagram, and who is the creator of this very cute pirate house that she made for her son. Simply pop the Love Mae mini pirate ship fabric decal in a white house-shaped shadow box (you can order similar cute house-shaped shadow boxes through online children's interior designer Little Dwellings who has collaborated with maker Top Knot Designs right here in Australia). Genius styling Karen!